SAO PAULO (Reuters) - The arrest of a former Brazilian president on corruption charges is raising questions about how a Swedish consulting company won a contract to help build a nuclear power plant at the center of what prosecutors say was a massive bribery and kickback scheme. The company, now known as AF Poyry, on Thursday became the latest in a series of multinationals caught up in Brazil's sweeping "Car Wash" investigation, which has ensnared politicians as well as executives in businesses from oil trading to engineering and shipping. The consultancy, which was known as AF before it acquired a smaller Finnish peer, said it has "zero tolerance for fraud, bribery and corruption," but declined to comment on the Brazilian investigation. Temer, the leader of one of Brazil's largest political parties before becoming vice president in 2011, took over from former President Dilma Rousseff after her impeachment in 2016. He was succeeded by President Jair Bolsonaro at the beginning of 2019. Temer has repeatedly denied any wrongdoing. 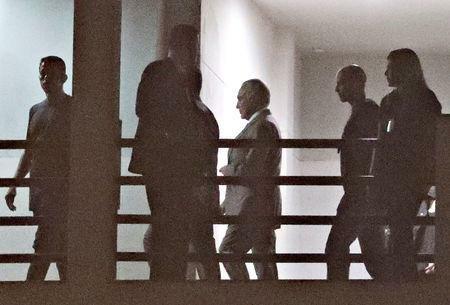 Among those targeted for arrest was Carlos Jorge Zimmermann, AF's main Brazilian representative when it won the contract for Angra 3, who pushed for the inclusion of a Temer-linked company in the bidding consortium, prosecutors said. "The investigations show that the hiring of AF Consult do Brasil, in partnership with Argeplan, was solely designed to permit the payment of undue advantages to Michel Temer's group," they wrote in the court documents. AF Poyry said independent auditors hired by Eletronuclear, a unit of Brazilian state-controlled utility Centrais Eletricas Brasileiras SA, had "dismissed any wrongdoing in the contract."